One of my favorite vegetables is the beet. I think it is the woody taste that I love; it just tastes so hearty. 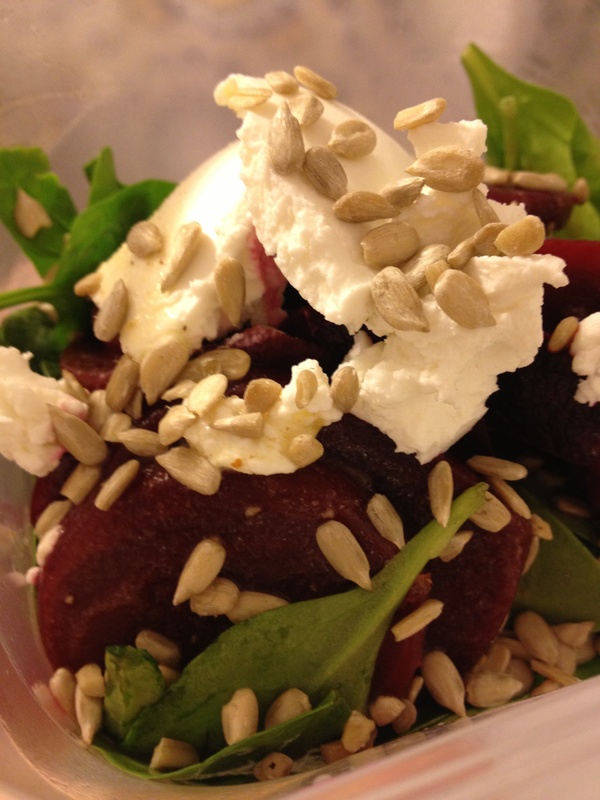 This week, I roasted my own beets and made a goat cheese, beet, and sunflower seed salad. The sunflowers added a nice taste and texture, as did the honey dijon vinaigrette I made. 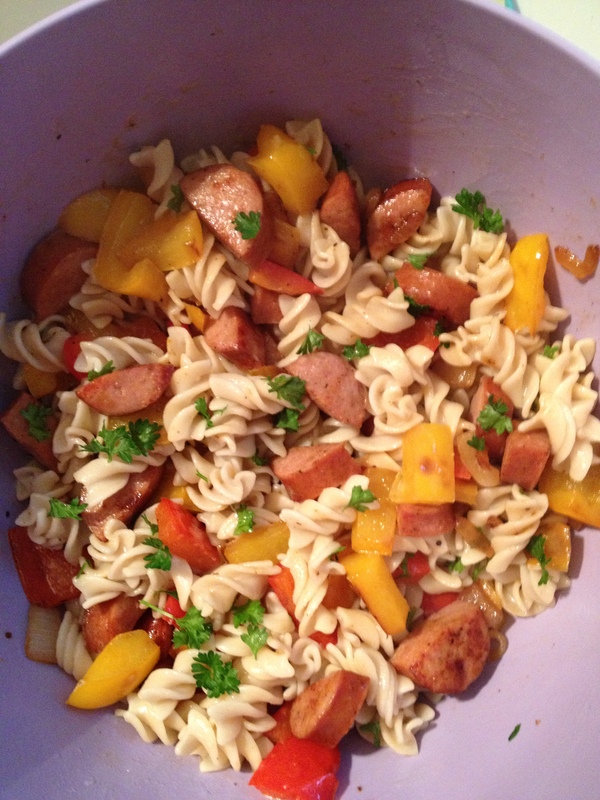 A great fall lunch! Note: This recipe makes four salads! Peel the skin off the beets and slice them into rounds. On a cookie sheet, place the beet rounds and sprinkle with salt and pepper. Bake the beets at 375 for about 45 minutes, until soft. To make the vinaigrette, combine the olive oil, white wine vinegar, honey, dijon mustard, and a sprinkle of salt and pepper. Shake or stir well to combine. 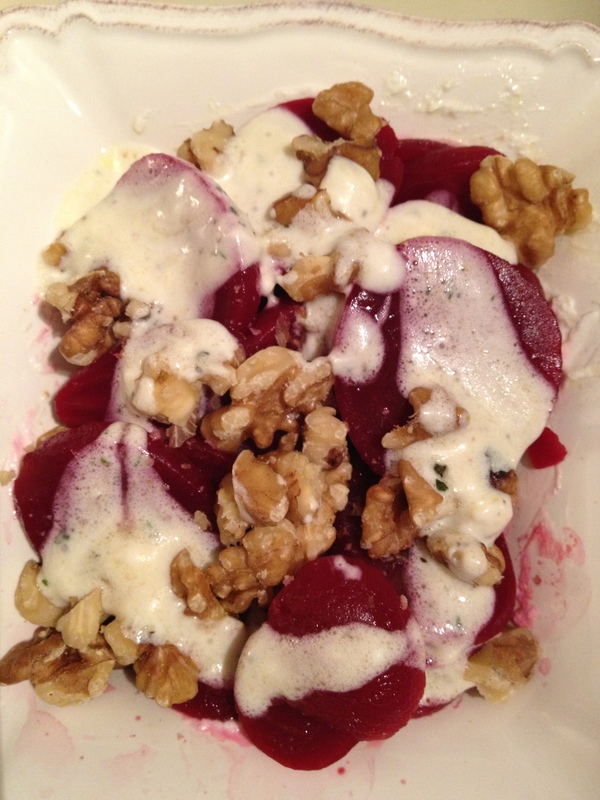 In a large bowl, place spinach leaves and top with roasted beets, 2 tbsp. goat cheese, one eighth of a cup of sunflower seeds. Dress with the vinaigrette.